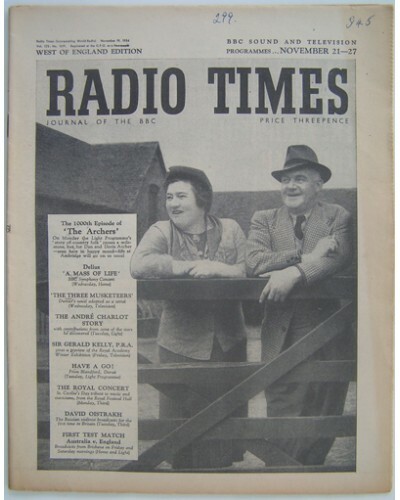 RT 1619 - November 19, 1954 (Nov 21-17) (West of England) THE ARCHERS (Light) The 1000th Episode - with cover photo of Gwen Berryman and Harry Oakes. 48 pages. 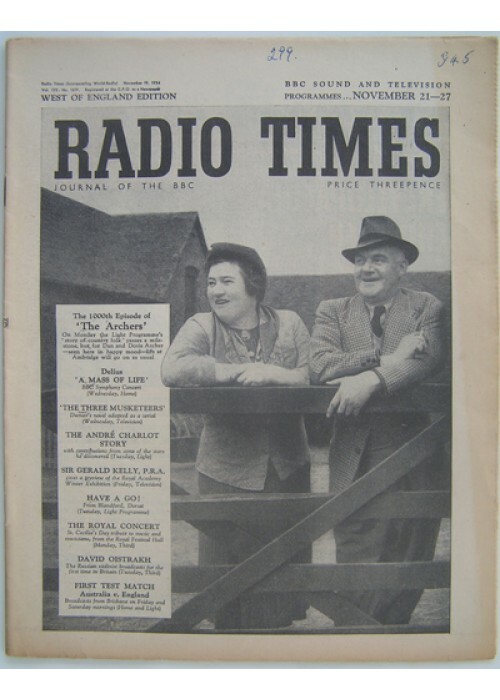 Sound and Television. Actual copy illustrated.